The classic joystick of the Commodore 64 and Amiga era: Digital joystick with micro switches, four digital buttons with micro switches, two digital axis, autofire function, USB connector, robust shaft, transparent blue design, compatible with Windows 98/ME/2000/XP. (for more details see Competition Pro USB Blue). 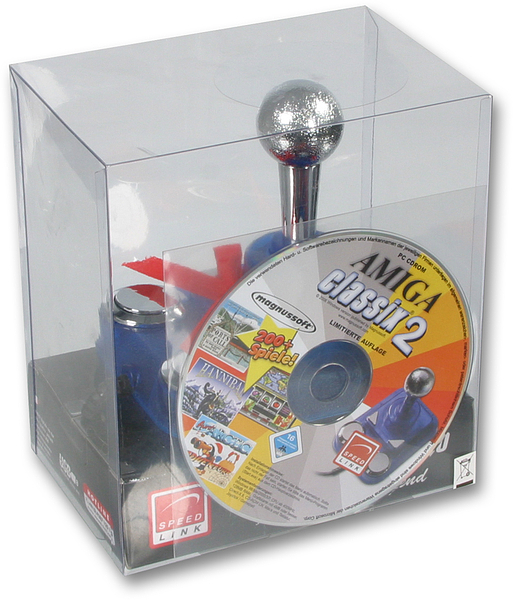 As a bonus for Amiga fans this bundle also contains Amiga ClassiX 2 with more than 200 classic Amiga games.